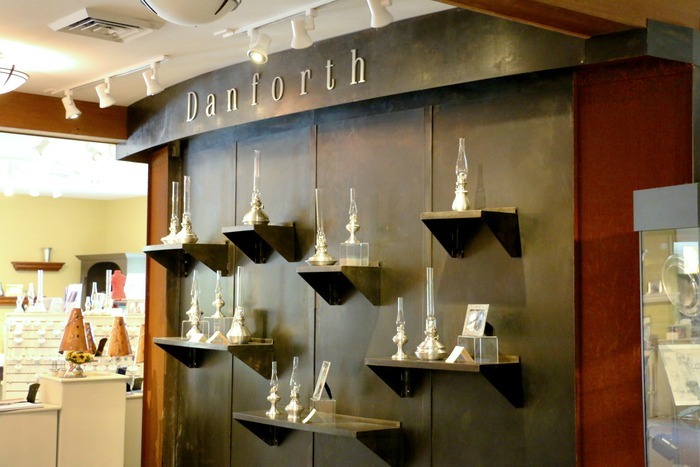 If you’re looking for a special souvenir to commemorate your visit, you’re sure to find it at Danforth Pewter. 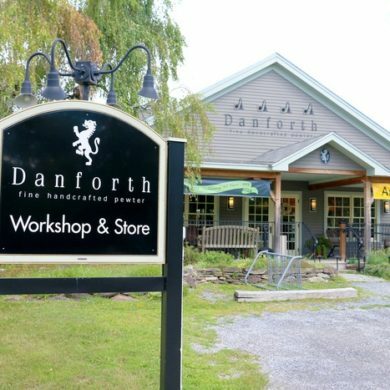 The factory and associated store are located in Middlebury, but almost every little town we’ve visited near Killington Mountain Lodge has a Danforth store. Check out retail locations in Burlington, Waterbury or Woodstock if you can’t make it to the workshop. 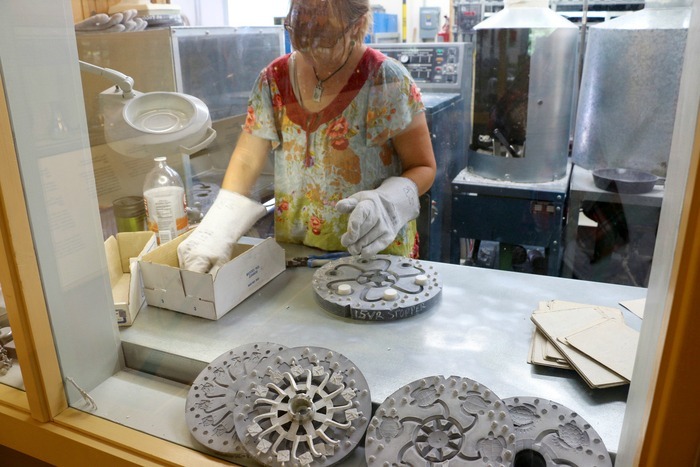 Now in business for more than 40 years, this small-scale, family-run operation of just 18 total employees makes handcrafted pewter jewelry, home goods, baby items, holiday ornaments and more. But the family legacy of pewterers (try saying that 3 times fast) dates back much further than 40 years. As early as the late 1700s, the family had a pewter shop in Connecticut. In those times, every household would have served their food and drink from pewter plates and cups. Only after the Civil War did ceramic dishes become popular. Store associates are available to answer any questions you may have about the pewter-making process. You’ll be amazed at the amount of detail on the smaller items, all spun on a lathe, requiring a significant level of skill. The artisans train for three years to learn the craft. There is almost no waste to the art. Any metal that isn’t used to create a frame, candlestick or belt buckle can be gathered and melted back down for the next. Pewter melts at only 500 degrees – which sounds quite hot, but isn’t very high on the metal melting scale. All items at Danforth are 100 percent lead-free fine pewter. The Danforth Pewter Workshop & Store is located at 52 Seymour Street in Middlebury, VT. For a full list of items available and more information on the store, please visit the Danforth Pewter website or call (800) 222-3142.